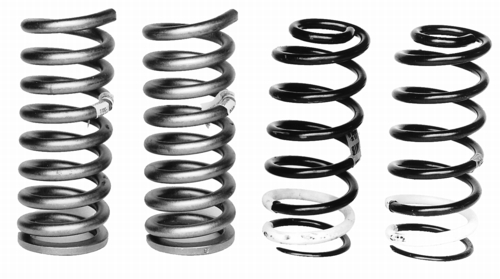 These spring kits have been designed to lower your Mustang and improve its handling. There will be some deterioration in ride quality. NOTE: The height on some cars will vary. 1 1994-04 models – 1-1/8"
2 1994-04 models – 3/4"
6 Due to vehicle assembly tolerances these specifications may vary.